For over 40 years, KMT has been developing and manufacturing waterjet cutting pumps and components. As an OEM partner, MultiCam supplies both KMT intensifiers and cutting head consumables. Depending on the application, the Streamline SL-VI Series is a configurable designed waterjet pump that can be custom built based on a variety of options to meet cutting solution requirements. This series of pumps can come in 30HP, 40HP, and 50HP configurations all with 60,000PSI. Key features and options include enhanced performance with an increased intensifier flow rate, modular design, power factor correction, and IE3 and NEMA premium motor design. 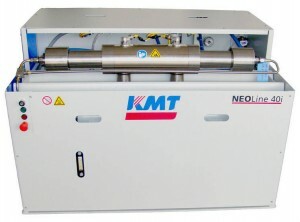 The KMT Waterjet NEOLine® 40i Pump is the NEW low cost option for multiple waterjet cutting applications and is the perfect solution for job shop cutting.The NEOLine® 40i pump uses KMT proven intensifier technology for superior performance with less maintenance. The durable and reliable NEOLine® 40i pump is ideally suited for small job shops, sign and automotive shops requiring the versatility and flexibility found only with waterjet cutting. 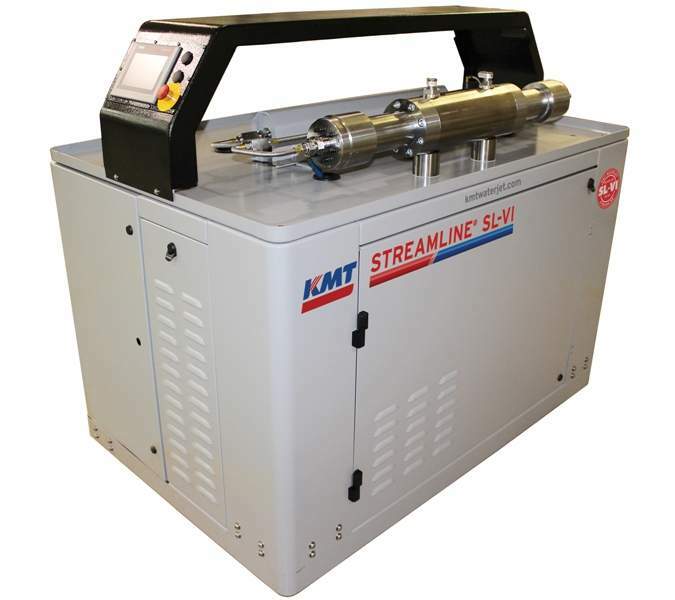 KMT Waterjet Streamline® SL-V 60,000 PSI/4,137 bar pumps are available in a range of horsepower sizes: 15, 30, 50, 100 & 200. Our full-featured, SL-V pumps are available in more sizes and with new “Cutting Edge” options available only from KMT Waterjet. These pumps are the easiest to maintain and the most advanced Streamline® pumps ever offered. Seals last over 1,000 hours, depending on pressure and water quality – longer than any other system – for continuous operation for the most demanding production schedules. 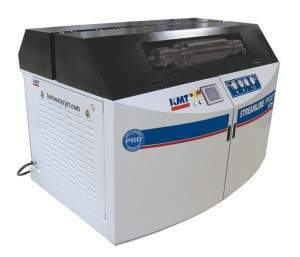 KMT Waterjet Systems has the broadest range of abrasive waterjet intensifier pumps with the introduction of the Ultra High Pressure (UHP) KMT Streamline PRO2® 90,000 PSI/6,200 bar Waterjet Pump. The PRO2 is available in 60 HP and 125 HP for a range of cutting applications. The PRO2 125 HP Pump delivers the abrasive waterjet tables twice the power, by cutting products in up to half the time over conventional 60,000 PSI (4,137 bar)/100 HP water jet machining systems. 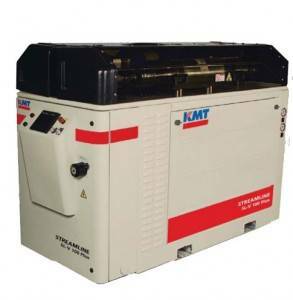 The KMT Rapid Seal Change intensifier pump design technology and is perfect for high volume production from single head to multiple abrasive waterjet cutting head requirements and for intricate detailed cutting with tight tolerance requirements.